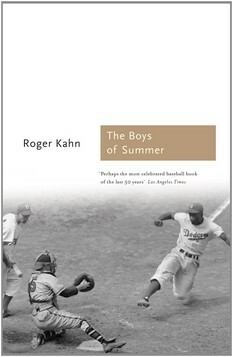 Described by Richard William of The Guardian as 'the best sports book of 2013, and the best sports book of all time', The Boys of Summer is the story of the young men who learned to play baseball during the 1930s and 1940s, and went on to play for one of the most exciting major-league ball clubs ever fielded, the Brooklyn Dodgers team that broke the colour barrier with Jackie Robinson. It is a book by and about a sportswriter who grew up near Ebbets Field, and who had the good fortune in the 1950s to cover the Dodgers for The Herald Tribune. A story about what happened to Jackie, Carl Erskine, Pee Wee Reese, and the others when the glory days were behind them, it is also a book about fathers and sons and the making of modern America.